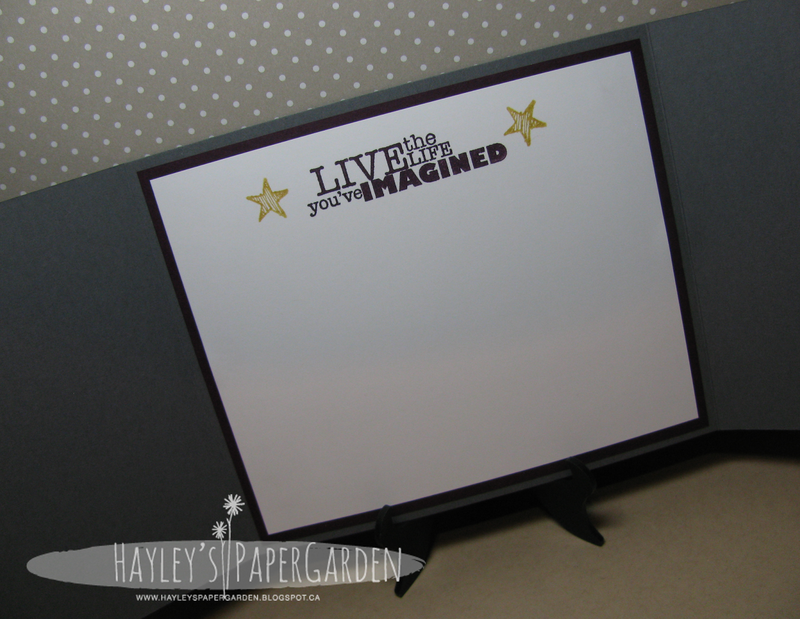 Hayley's Paper Garden: Live The Life You've Imagined! Week #1 of my holidays are going well! 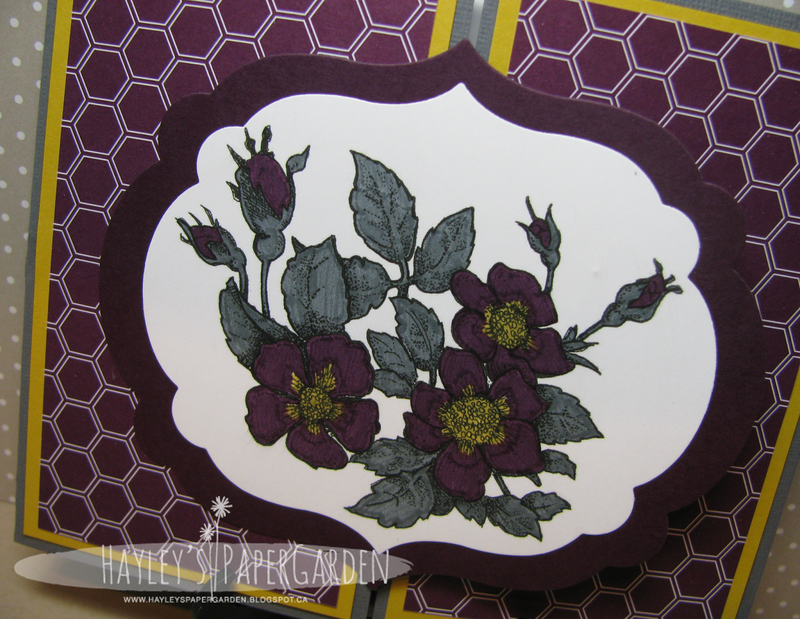 I apologize for my lack of web presence but this gal needs a wee holiday and thus created my cards ahead so I could still share a little inspiration. 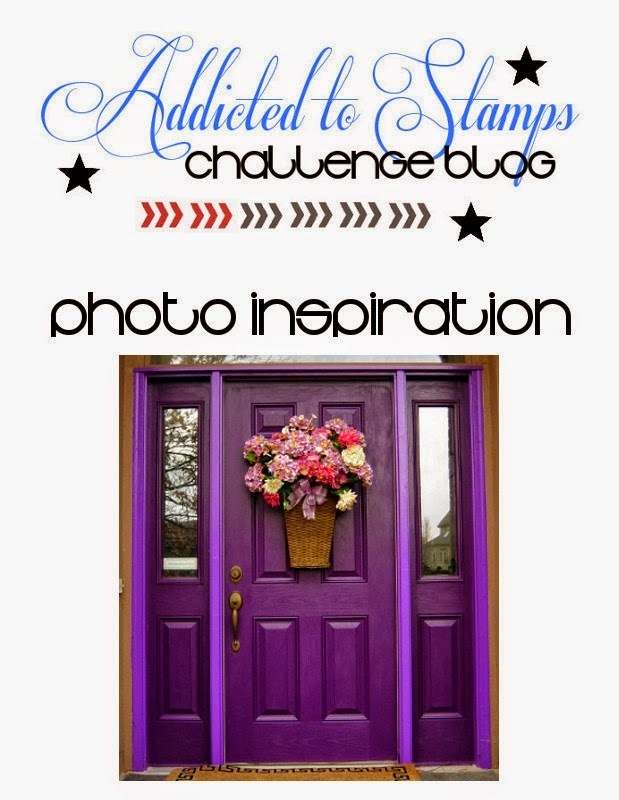 This week is Team B's turn to take the stage over at Addicted to Stamps and More :) We are rocking it CAS! So keep it simple, get crafty and show us what you got! Hayley, your card is absolutely gorgeous; such a pretty translation of the door image with your gatefold (hope that's what it's called) opening, and the lovely flowers! The honeycomb background is such an unexpected, delightful special touch. Fabulous sentiment! So glad to be on the team with you; your inspiration is amazing! 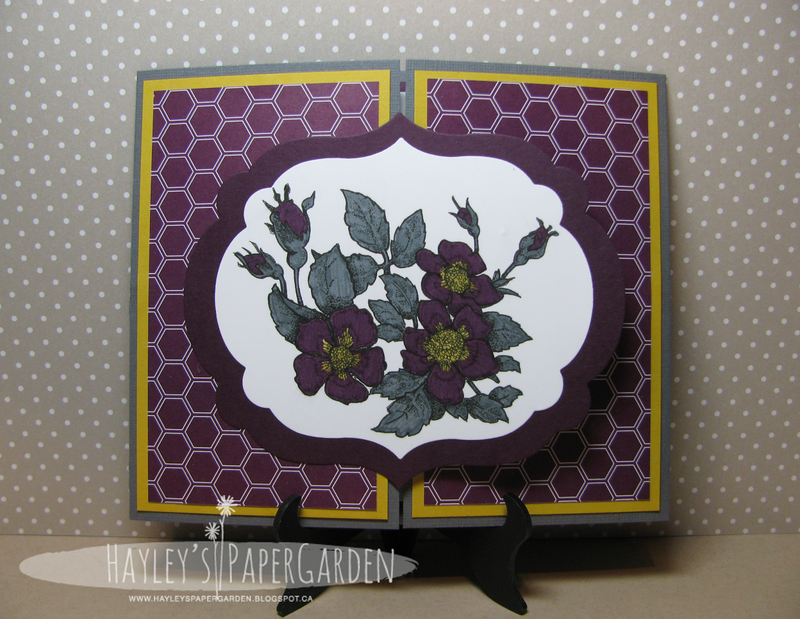 Great frame, and I love the gate fold :) Super pretty Hayley! Wow - this is absolutely fabulous. After green, purple is my favourite colour! I love the flowers, the gorgeous frame and the centre fold opening. Love it!